Electric Guitar, Sunn Mustang, By Fender. + AMP, Stand, GIG BAG. A huge amount of new Compressors, Chorus, Pitch shifters, Reverbs and more are built in the GT40. -Amplifier Type: Digital. -Series: Mustang™. -Depth: 18” (45.72 cm). -Height: 11” (27.9 cm). -Width: 12” (31 cm). 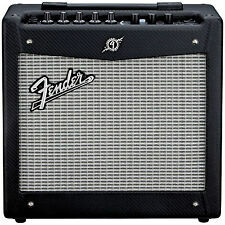 And, you can connect easily to the Fender Digital ecosystem for learning and sharing. We developed new algorithms with even higher fidelity and more realistic response, along with more signal path flexibility so you can move effects anywhere in the signal chain for creative exploration. It’s ideal for beginners and students, with a super-simple user interface and a collection of 30 presets covering a wide range of music—a “greatest hits” of electric guitar tones. GAK Saving: % OFF. RRP £ 0.00. 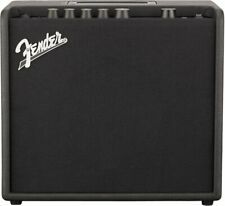 Fender Mustang GT40 Guitar Amplifier Main Features. 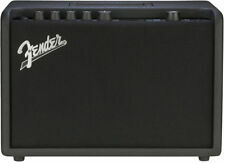 Fender create the Mustang GT-40 digital amplifier, perfect for tabletop or recording desk. They invent the world's first WiFi-equipped guitar amplifier, making it easy for you to download the latest updates, access Fender artist-created presets, and connect directly with a community of other creative players and music makers like yourself. How can a modern legend like the Mustang digital amplifiers be improved?. Simple—we do it again, bigger and better with the 100-watt Mustang GT-100. We take seven decades’ worth of experience crafting inspirational tools and use it to add new(and better) amp and effects models while making it easier to use all of this without sacrificing one iota of power. 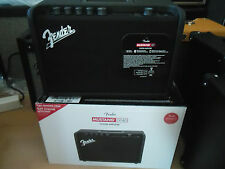 Fender Mustang GT100 Guitar Amplifier Main Features. They invent the world's first WiFi-equipped guitar amplifier, making it easy for you to download the latest updates, access Fender artist-created presets, and connect directly with a community of other creative players and music makers like yourself. 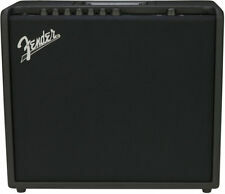 Fender Product OverviewHow can a modern legend like the Mustang digital amplifiers be improved?. Simple—we do it again, bigger and better with the Mustang GT-100. We take seven decades’ worth of experience crafting inspirational tools and use it to add new (and better) amp and effects models while making it easier to use all of this without sacrificing one iota of power. 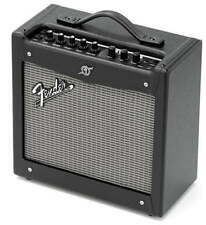 Fender Product OverviewHow can a modern legend like the Mustang digital amplifiers be improved?. Simple—we do it again, bigger and better with the Mustang GT-200. We take seven decades’ worth of experience crafting inspirational tools and use it to add new (and better) amp and effects models while making it easier to use all of this without sacrificing one iota of power. How can a modern legend like the Mustang digital amplifiers be improved?. Simple—we do it again, bigger and better with the 200-watt Mustang GT-200. We take seven decades’ worth of experience crafting inspirational tools and use it to add new (and better) amp and effects models while making it easier to use all of this without sacrificing one iota of power.